This is part of a series of Bracelets I have made, part of my Diamonds and Rust collection. 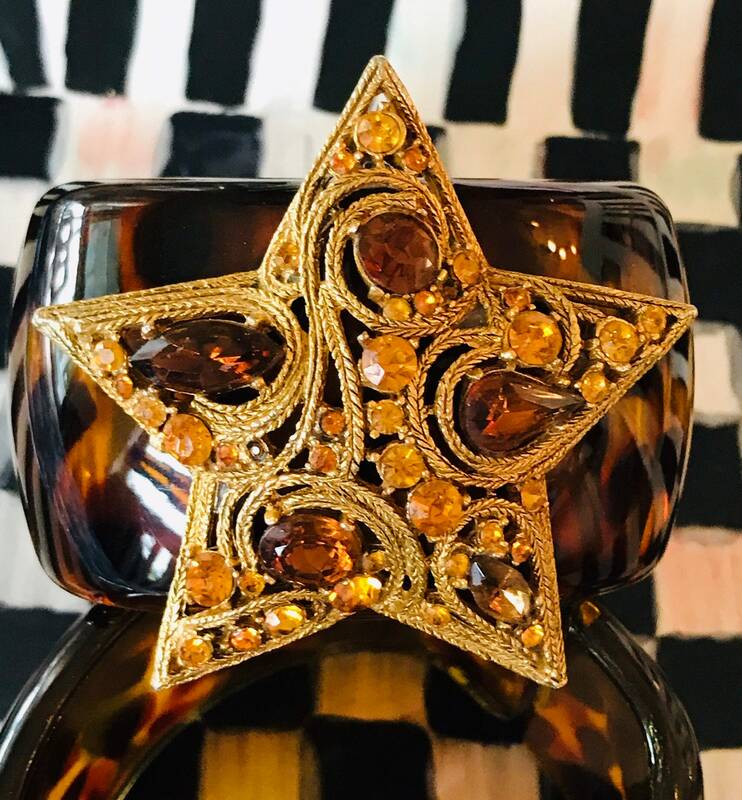 The base is a lovely Chanel Style Clamper Bangle, I get these from Providence, Rhode Island. 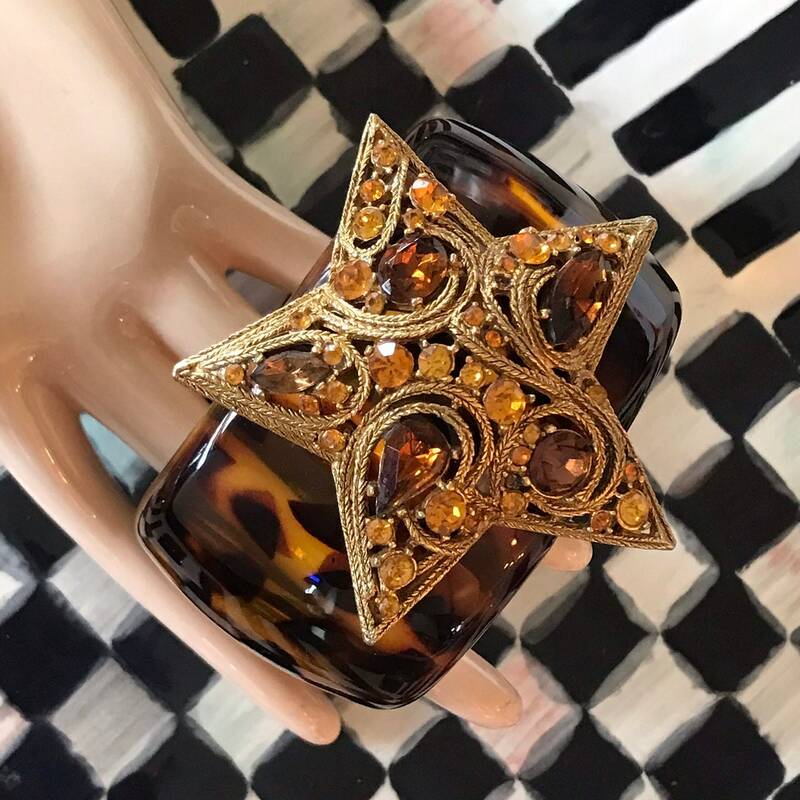 I add Vintage dress clips, broken bracelets, orphan earrings, any beautiful bits and bobs of vintage costume jewelry that I feel would be great fun to wear. Some are designed for that upscale high end designer look, some are whimsical. 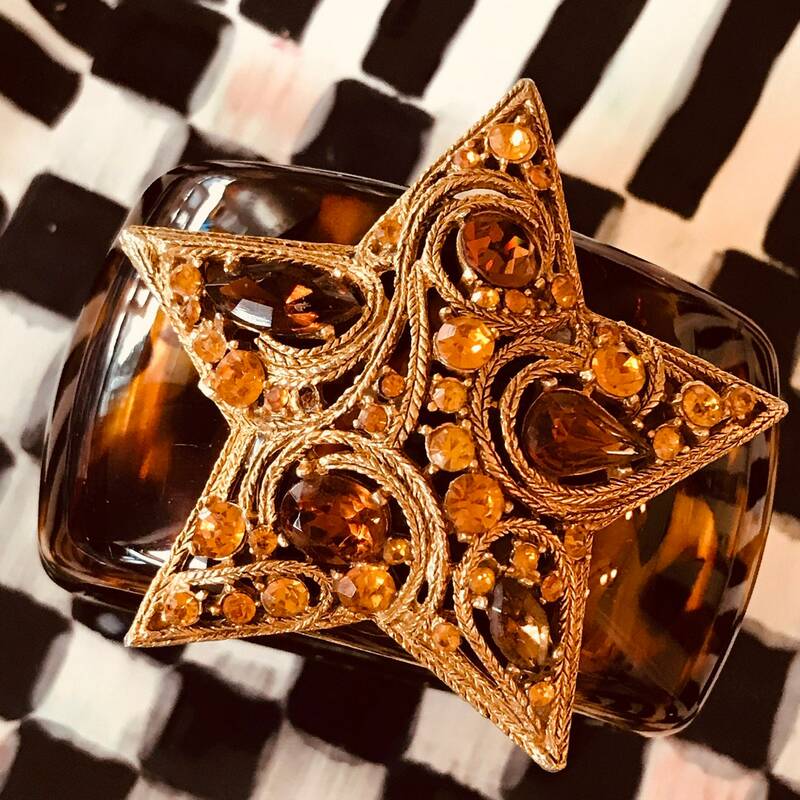 This bracelet was created using a fabulous Vintage Topaz Star, I thought it would be perfect for a bracelet. I was right! Awesome! 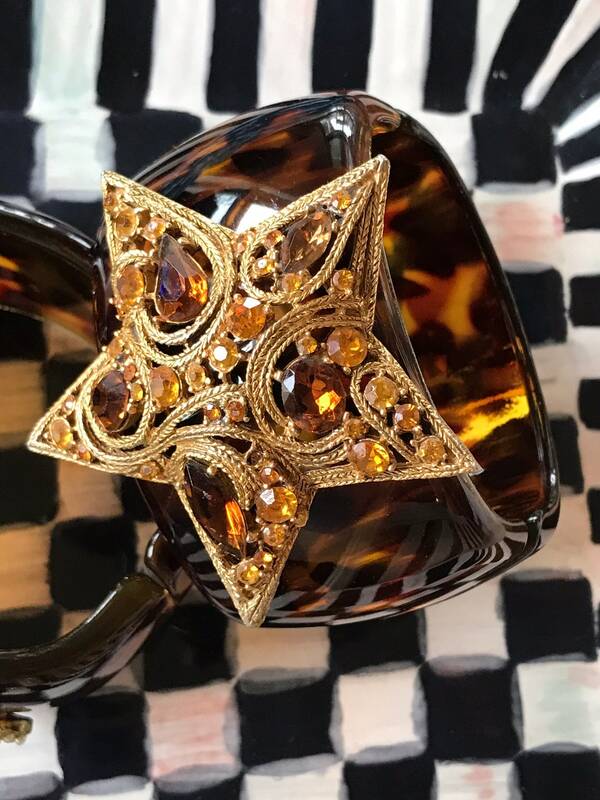 This bracelet base is Tortoise. 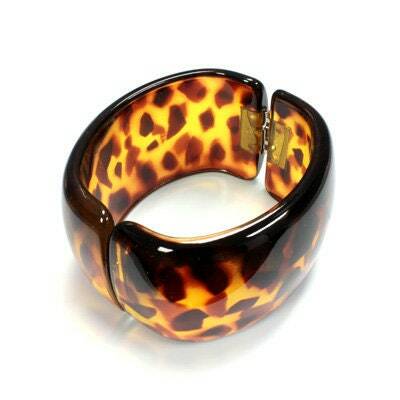 These bracelets are offered in Tortoise or Black what you see in the photo is what you will get. I have included a photo of the bracelet blank I begin with, I have also included a photo of the bracelets on my friends arm so you can get a real sense of the scale, wearing 2 is Amazing! I can also convert YOUR family heirloom brooch or dress clips, etc into a beautiful art to wear bracelet, contact me for a custom order. You can choose from Tortoise or Black, or I can special order in white or sometimes other colors are available. I have several dozen of these bracelets I will be listing this week. Upon completion of funds transaction with Etsy items will be shipped. All items are shipped Priority Mail insured for full value, signature required.